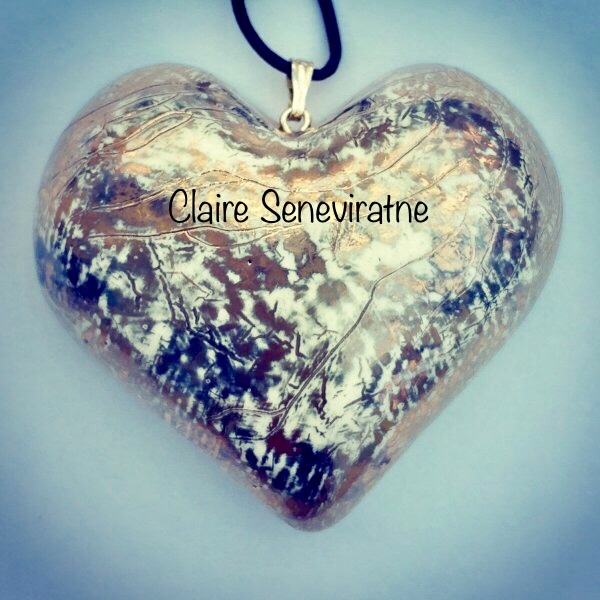 Claire Seneviratne - Ceramic Artist: Large Gold and platinum heart pendant. Large Gold and platinum heart pendant. h-40mm. w-48mm. Thong length 80cm. This unique large heart pendant has textured surface markings comprising of gold and platinum lustre. The leather thong is fully adjustable.